Till now we identified and learnt about two cars in the Tintin Adventure, “Tintin in the Land of Soviets”. Today’s vehicle is larger. Actually it is not a car but a truck. In hindsight, the name of this series could have been ” Automobiles of Tintin Series”. Notwithstanding, in order to maintain continuity, I shall maintain the name of this series as “Cars of Tintin” though I shall be discussing trucks and buses also. So continuing with “Tintin in the Land of Soviets”, the next vehicle is an army truck built by the French manufacturer Latil. 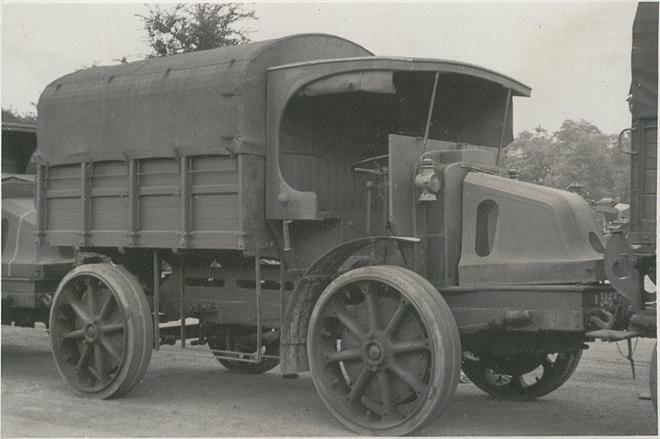 They built heavy vehicles including trucks, buses and tractors from 1898 till 1955. Initial vehicles were based on a patent filed by Auguste Joseph Fredrick Georges Latil in 1897. The patent was regarding front wheel drive. “Salon Niort 2012 (8173245740)” by Frédéric BISSON from Rouen, France. Licensed under CC BY 2.0 via Wikimedia Commons. In 1898, Latil and Alois Korn founded the La Societe Korn at Latil in Marseille. This company used to replace the the steering axle part of horse drawn wagons by a fully motorised parts. They continued transforming horse drawn carriages into motorised carriages till 1908. In this year, the company “Compagnie Française de Mécanique et d’Automobile – Avant-Train Latil” was founded. This company produced it’s first trucks with a loading capacity of three tons. 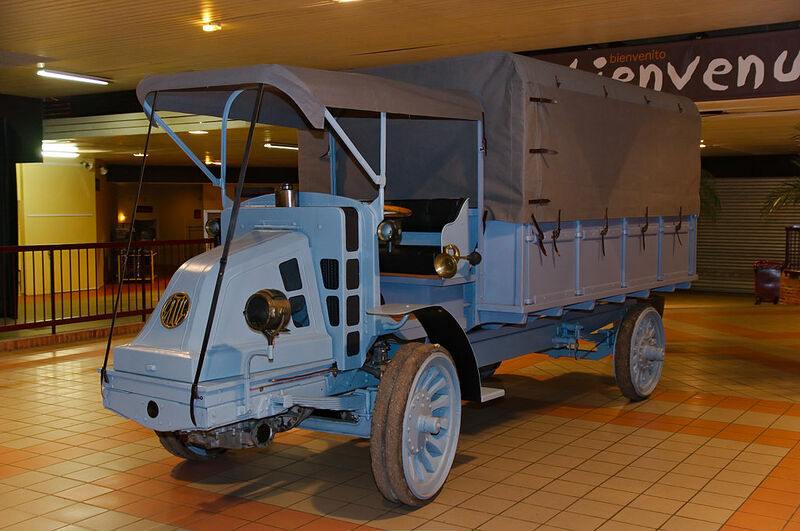 In 1911, the company produced its first four wheel drive vehicle with four wheel steering. This got the French Army interested in 1913 as it could tow artillery guns. Any person buying these vehicles was provided a 30% rebate by the War Ministry of France with the agreement that the vehicle and driver would be commandeered by the French Army in case of mobilisation for war. This vehicle had full off-road capability and could be driven in mud, sand or snow. 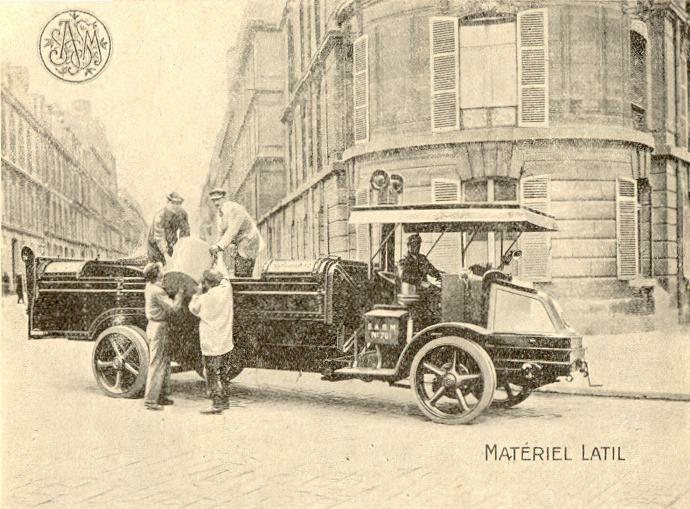 Latil continued operations till 1955 when it merged with Somua and Renault’s truck and bus operations to form Saviem. Saviem itself merged with Berliet in 1978 to form the Renault Vehicules Industriels. 2120 cc 4 cylinder engine producing 11 BHP. 2950 cc 4 cylinder engine producing 14 BHP. 9605 cc 8 cylinder engine producing 30 BHP. 7728 cc 4 cylinder engine producing 28 BHP. They were used during World War I to tow heavy 155mm Schneider artillery guns. These trucks were also fitted with winches and were used by the American and French Balloon Services for launching and recovering observation balloons. Now the question is “Balloons”? Well Radar had not been invented by World War I, neither were aircraft so advanced. So to observe the enemy, one had to physically hoist a person to a great height with a binocular. What better platform could one use other than a balloon?